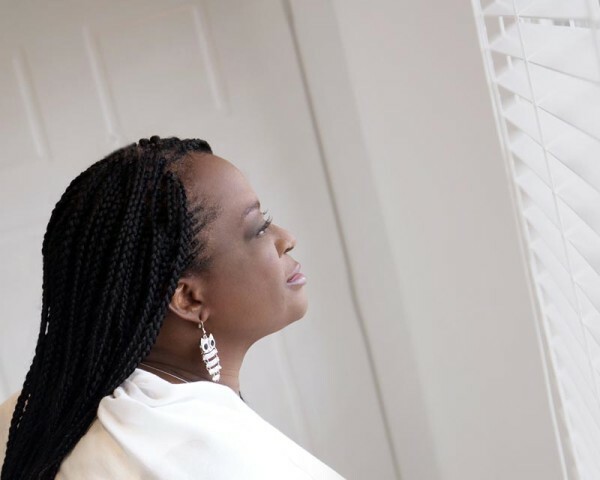 Late Amaka Igwe died on April 28, 2014 in Enugu, aged 51. Read the second year tribute that will probably make you cry, as she gives details of how her plans were shredded when she lost her best friend two years ago and more. Ruby Igwe rendering her message at her late mum Amaka Igwe’s tribute night in 2014. To God who made me I don’t know how it’s two years today. Mummy, you’re still not back? …to 8am, when we started our average of 5-8 daily calls (sometimes email) procedure. That three-hour call was our farewell song. I just didn’t know you were singing. You told me you loved me, and I felt it in every fibre of my being. You told me how proud you were of me. You said you wouldn’t be there on my birthday. We talked about the future, and the future future, and unlike our usual co-daydreams you managed to keep the focus on me and erase yourself carefully out of it. …And say goodbye for the very last time. It wasn’t even a proper goodbye. ‘I’ll call you back’. Na so. My spirit knew there was something wrong when you didn’t call at 6pm. Or 8pm. So I call you, and you don’t pick up. To distract myself I launch into a long laugh/chat with a friend, and then panic at 9pm when I talk about you so I remember to call, and you still don’t pick up. More panic. Then I am called to be informed of a very out of the blue out of the way visit. And then I know. Without knowing. I run with the think horses not zebras approach. I decide you were busy, and would be calling any minute to apologize and pick up where we left off. I prepped my pretend anger voice. I denied what no one but my heart was telling me. I held out for all kinds of hope. Prayed the craziest prayers. Bargained with God. That you would wake me up in the morning before my alarm. I believed that so much it was hard getting to sleep that night, I was waiting for the morning to come. Then it was all laid out, and I couldn’t un-know. You were gone. You were gone. You were gone. And you won’t be calling me back. They don’t have phones where you’ve gone. Seeing your phone and all your belongings when I got back home infuriated me. Then humbled me. Do not store up earthly treasures… Priorities. If anything, God should have allowed that phone follow you to heaven, with at least one Ankara outfit, your glasses, that drum, and your gold necklace that you wore forever. A heavenly starter pack, to ease you into your new and improved eternal life. Not so? Last year I wrote about everything that was supposed to be. I was still very angry at you. Today, I am not that far away from anger, just down the road. Maybe next year I’ll be on a different street. Today is my Ground Zero Plus 2. 2 years ago today, the thing I feared the most happened to me. I lost my best friend; and I lost control. My plans were shredded. The floor vanished under me, and it started to simultaneously rain from the ceiling. I fell, and fell, and fell, and I reached my foundation. I don’t have precise words for what I feel. It’s never not going to hurt. I miss your full-frontal, spontaneous, in-your-face, fierce love. Sometimes I forget that you are gone, I really do. I have happy moments, with friends and family, I achieve something, I’m surprised, and I receive something undeserved unexpectedly and I reason that I can’t be this happy if you are gone. Then I look around for you to agree with me and my neck almost goes 360 because you are not here. Purpose has however never been more important. I feel awake. You leaving has unlocked latent places in me that I wish never had to exist and come to the fore, but I will make the most of. I feel deeper. I love the ones I love, much harder. I’m less scared, of speaking my mind. I don’t want to leave things left unsaid. I don’t want to leave my life half-lived. I’m scared more, because I have to think of my future and my future future without you. I don’t quite yet know how to exist in a world that you aren’t in; new phases and whatnot. I feel sometimes like a toddler someone yanked out of her walker. I can’t comprehend that I won’t see you see me graduate anymore, and become a Barrister, and write much more, and found things, and fulfill my destiny, and get married, have kids, and grand kids… So you mean you really won’t come back? I have you eyeing me when I’m about to say something silly or do something stupid, or when I refuse to eat humble pie and apologize for doing said silly thing. I have you belly laughing in unison, when something I know would make us laugh makes me laugh. I have you, in a parallel planet, doing the Senior Status LLB like you said you would. I have you dabbing, and thanking God you don’t have to try and krump anymore. I have you virtually hugging me, tightly, bone crushingly; as if to pull all my scattered emotions back into order. I have you in my heart, in a special chamber, helping my heart beat with your drum, your shorts, the vest and a huge smile. I no longer think I have all the time in the world. But I’m still learning there’s a time for everything. I want to lean in so hard I’m half on the table. And if there’s no table I’m building one. Because life has never been shorter. And because I can. I love you deep. I love you bottomless. I love you so much it scares me. You used to say you loved me enough for both of us, I didn’t get it. Now, wherever you are, whether you can or can’t love me back, I love you enough for the both of us too. Mamma mia. It’s my turn. I didn’t know I would still be here, and still be me, but I am. I miss you without words, none are capable of articulating that emotion. Most times it makes me want to curl up in a ball, and not do anything at all. Sometimes, some days, that’s exactly what I do. In April 2014, a spokesperson for Amaka Igwe studios told NET the sad incident occurred in Enugu where she had gone, in company of her husband, for pre-production preparations for a new Igbo soap. ‘She suffered an asthma attack and was immediately rushed to the hospital after initial interventions had failed. She passed on before getting to the hospital’, a statement issued read. Mrs Igwe is survived by her husband of 21 years Charles Igwe, three children, an aged mother, siblings and a large extended family.